The Darklings is a project from Corner Tour’s Ryder Cooley and Hazy Loper’s Patrick Kadyk. 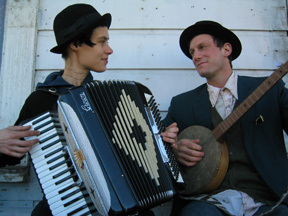 The sound of Ryder’s accordion, Wurlitzer organ and occasional guitar combined with Kadyk’s banjo mix with both voices to create a ghostly sound that is tender and haunting. 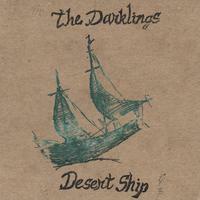 After a year of playing in the Bay Area and touring the East Coast, The Darklings have released a full retrospective of their music entitled “Desert Ship”. This music is the best of Down River meets the best of Hazy Loper and then it's better than that. Really.